As a newly established company it can be an uphill struggle to get visitors to your website and an even bigger struggle to convert these visitors into customers. The most efficient way of generating the traffic is via search engines such as Google & Bing, otherwise you are completely depending on potential customers having already heard of you and directly searching you out or referrals from other marketing media. This is why SEO needs to be at the forefront of most businesses marketing efforts. How can you achieve SEO success from the very beginning? We are going to talk through what elements to keep in mind when developing a solid SEO strategy when launching your new business startup. AdWords is a very powerful tool and if you are using it already or thinking about using have a read below for some possible extra tips to get you going. Audiences allows you to experiment with showing your ads to different groups of people. This is could be a powerful feature for your campaign. Being able to segregate your audience and split your ads to specific groups gives you control over split testing and homing in on your ad spend. Spend your time and budget trying out different audience functionalities and see if they improve your campaign. However, make sure you record your changes and use a methodology so that you can work out good and bad performing changes. Take time to learn the interface. You may or may not already be aware but Social Media goes hand in hand with promoting your blog. Blogging is a great way to get visitors to your website but writing an enticing blog is just the start, you need to then promote this blog, the perfect platform for this is Social Media. Are you sure its sending the right message to your customers? Do you need your site to do more for you? If your website isn't responsive google will not list you in 2017. You may or may not be aware that Google is prioritising mobile sites for 2017. Google is separating it’s search indexes for mobile users to prioritise results which are easily readable and relevant to the user. This means that responsive websites will receive a massive boost in search engine results from mobiles and appear above desktop websites. "93% of online experiences begin with a google search"
You’ve spent hours researching, analysing, and finally creating compelling content. Now you need to spend just as much, if not more time promoting your content than actually writing it. Building an Ecommerce site can be a mammoth of a task, especially if it’s your first. Luckily for you, we’re here to help. We’ve comprised a list of some pitfalls to watch out for. For those of you who are yet to be convinced by the powers of social media for business, then this article is for you! It is not as daunting as it all sounds and once incorporated correctly by professionals into the foundations of your marketing mix, you can begin to advance on your competitors and create a surge in sales. Tyson Cooper Ltd came to Identity looking to redevelop their existing website so our talented design team got to work and now www.tysoncooper.com has been released into the big, wide, digital world. By using bold graphics and relevant content which kept in line with the brand’s identity we completely redesigned the site to be clear, creative and visually exciting. We have visited SEO a lot in our blog and its always a hot topic. Over recent months Google has released numerous updates to its search algorithm heavily affecting many millions of sites. We at identity are constantly bombarded with spam from so called SEO companies promising to rank your site. With on page / off page optimization, link building, white hat, black hat, blogging - it’s a scary world out there. 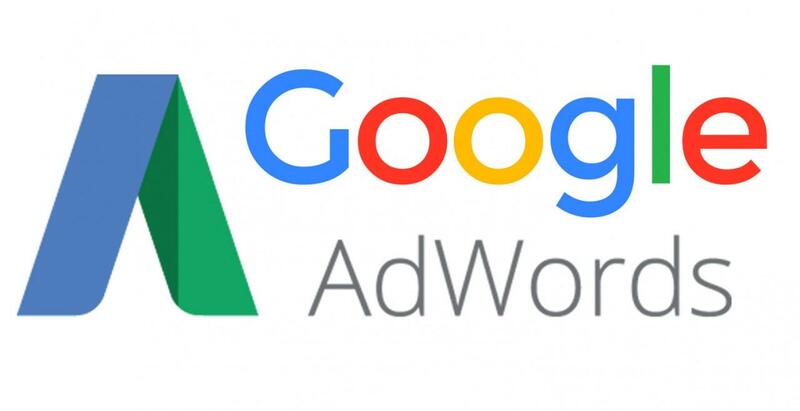 Identity are certified Google AdWords partners, and have passed Google’s own stringent testing and vetting procedure, meaning that we provide you with a service that’s backed up by the world’s biggest search engine. Requirements for becoming a Google Certified Partner? With our search engine marketing programme we can guarantee first page results with Google Adwords. We have proven experience in setting up and managing successful campaigns for our customers. Identity follows a process of best practice that has seen our clients’ experience immediate exposure and increased traffic through their website. It’s known that most people prefer to watch a video than read text or look at static images. Video usage is on the rise, with more than 95% of UK homes (and rising) have broadband its becoming much more accessible. YouTube is rated the 3rd most popular site in the world, video is here and here to stay. This is the conclusion of the SEO lessons from Identity, we have hoped that you have found them useful and informative. In closing there are a few other important things that I wanted to go over. I didn’t talk at all about Site Builders and this is an important topic. Unfortunately many people are living a perfect example of “If you build it, they won’t come“. Links are not only good for the engines but good links open up new sources of traffic from relevant, complementary but non­competing websites. Linking has gone through so many transformations over the years. First all reciprocal links are good, and then only relevant links are good. Then reciprocal links are not helpful, you need one way links. Next we are going to focus on the tweaks we can make within your website and website code to “prepare” your site for the search engines. These techniques change over time, so staying current with the engines is vitally important to the on­going success of your webpage. Let’s start with your Meta tags. What does everybody with top rankings know that you don't know? That's the question that drives most people in their quest for Search Engine Optimization (SEO) information. The foundation of a top ranked site should be SEO Friendly or SEO Ready – both are terms used for making sure the foundation of your site is clean, concise and “friendly” to the search engine bots that crawl your site. Have you ever tried to build a house of cards? Your strategy as the house grew more complex was very important - but none of it mattered without a solid foundation.